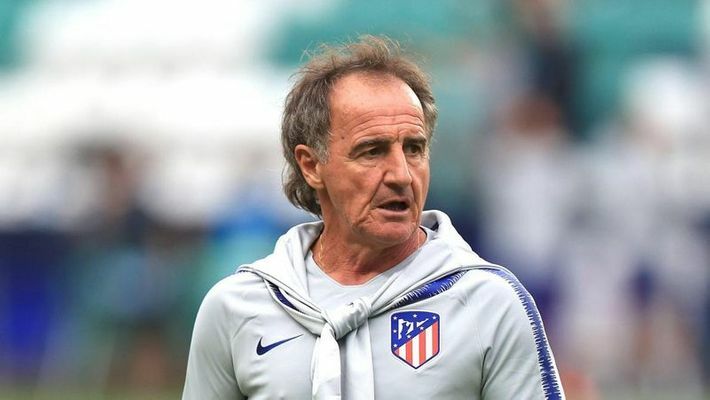 Madrid: Atletico Madrid's fitness trainer was detained and released after being accused of violence against women, Spanish police said on Tuesday. Oscar Ortega was taken into custody late Monday and released after appearing before a judge on Tuesday. He was not immediately charged with any crime. Spanish news agency EFE said Ortega's wife sent the agency a statement saying she never accused him of any wrongdoing. She said a misunderstanding led to another person contacting authorities without her consent. The case will be heard by a court that handles violence against women. No other details were immediately released. Atletico Madrid says it will not consider taking any action until all details are available. Ortega attended the team's practice session on Tuesday afternoon. The 60-year-old Uruguayan was Atletico's trainer when coach Diego Simeone played for the club in 2004. He returned as a member of Simeone's staff when the Argentine took over as coach at the end of 2011.